IMA staff work to create an efficient, interactive, and productive environment for all who visit the IMA. The IMA’s experience in delivering its services and its commitments to evaluation and improvement have made it an efficient and invaluable resource for the mathematics and scientific community. See below for resources to help plan your visit—whether you are a short- or long-term visitor. The IMA systems staff manage computing equipment, software, and support at the IMA. The IMA has funds to support participation in institute programs and activities. Financial support is offered based on a variety of factors, and applicants should specify funding needs in the application. A variety of transportation options are available for traveling to the IMA. Many housing and hotel options are available for visitors. 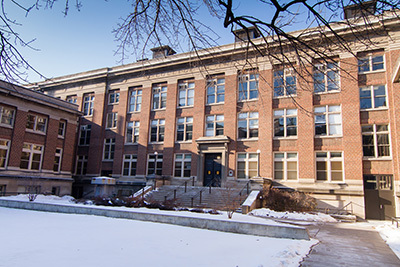 The IMA uses Keller Hall Rooms 3-176 and 3-180 for most workshops and activities. Depending on IMA needs, IMA visitors and University of Minnesota departments are welcome to reserve the rooms for academic use at no charge. Read more about reserving rooms in Keller Hall. Explore the resources available for long-term visits.